Yamaha say that their 500 series are the world's best selling acoustic-electric guitars. Based on the data we collected while researching this we can say that at the time of writing there were no acoustic-electric guitars that had higher ratings than the Yamaha APX500III in the $200 - $300 price range. A frequent compliment in customer reviews was that the setup was great straight out of the box with no adjustment needed. The sound and tone were generally described as "excellent" and "amazing for the price". Several customer reviews noted that it isn't as loud as Jumbo or Dreadnought body guitars when not amplified. Many people report that the thinline body is more comfortable than a full thickness Dreadnought body. 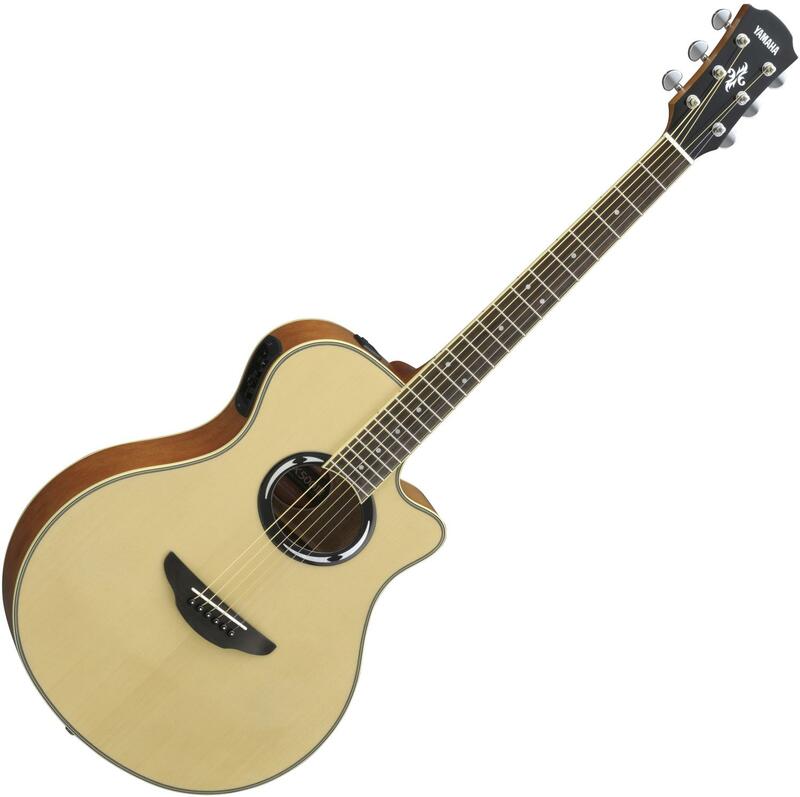 Click here to see which acoustic-electrics we recommend. Yamaha is known in guitar playing circles as a manufacturer of so many different products (ranking 3rd on a recent list of top selling brands), but a lesser known fact about the company is that it actually began as an organ manufacturer. Though they’ve moved into other products they’ve never forgotten their legacy, hence the three interlocking tuning forks that make up their logo. The Yamaha APX500III, while definitely an entry-level guitar, is a solid investment if you’re looking for a no-frills stage instrument. It continues to get high review ratings from experts who recommend it for its overall performance and value for money. It is equipped with a piezo pickup and an onboard preamp, both of which give you the flexibility needed to dial in a very useable acoustic tone. With its feedback resistant thin profile body, the APX500III is meant for live performance, able to handle higher volume levels when compared to conventional shapes. On the flip side, this thinner body limits the guitar's acoustic volume, making it less viable for unplugged jams. The use of laminated spruce and nato wood also doesn’t compare favorably to the more traditional spruce and mahogany pairing. In summation, the Yamaha APX500II is a great fit for those of you looking for a cheap gigging or open mic guitar. If playing unplugged is an important consideration then you may want to go with a different option.